Born of nobility in France in the year 1066, the fate of seven-year-old Tristan de Saint-Germain is thrown to the winds upon the execution of his father for treason against William the Conqueror of Normandy. Then, abandoned by his mother who remarries and departs for England, Tri... read full description below. Born of nobility in France in the year 1066, the fate of seven-year-old Tristan de Saint-Germain is thrown to the winds upon the execution of his father for treason against William the Conqueror of Normandy. Then, abandoned by his mother who remarries and departs for England, Tristan and his four-year-old brother find themselves thrown into the monastic world of the Benedictine Black Monks of Cluny, France. 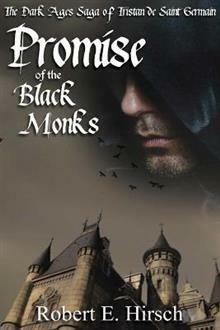 Under the tutelage of Grand Prior Odo de Lagery, who one day will ascend to the very pinnacle of power within the Catholic Church in Rome, Tristan develops into an academic and linguistic prodigy by the age of twelve and becomes known as the Promise of the Black Monks. Tristan's unusual talents become useful to the Benedictines as well as to Rome, and the boy soon finds himself pulled into the visceral power struggle between Pope Gregory VII and Emperor Heinrich IV as they mercilessly wage spiritual, political and military war upon each other to claim supremacy over the continent of Europe.